It's the week before Christmas and the festive rituals are in full swing. For me the best Christmases involve taking part in all the cosy Christmas activities. There's a few thing I love doing in the run up to Christmas that get me feeling all the Christmas warmth and magic. 1. By now if you haven't watched at least five Christmas films, then I don't know what an earth you've been doing all December! Christmas films are probably one of the best things to get you in the festive mood. 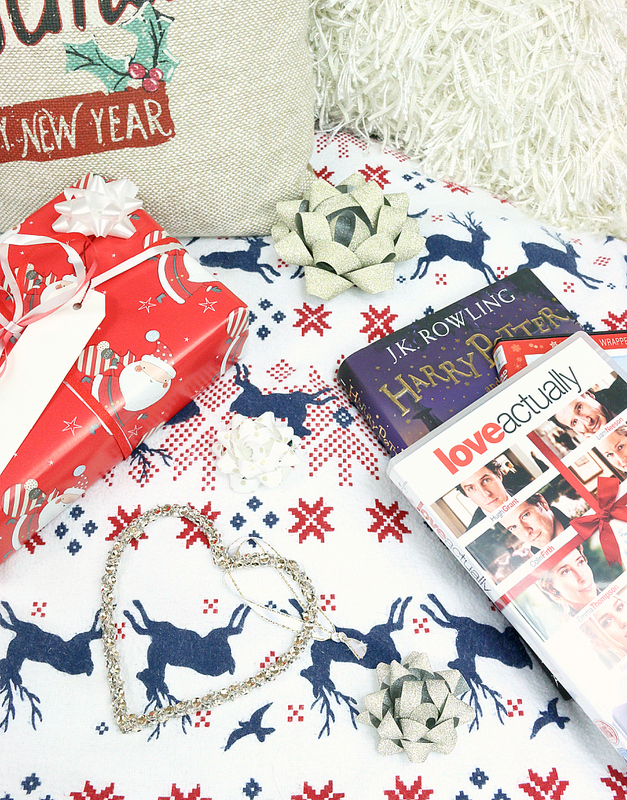 What's better than snuggling up with your favourite Christmas films and feeling all the Christmas magic. My favourites are The Santa Clause, Elf, Arthur Christmas, Bridget Jones, Love Actually and Harry Potter. 2. If you haven't already, it's defintley time to start wrapping presents and writing Christmas cards. This is an amazing way to get you in the Christmas mood. I love to stick a Christmas film on or listen to Christmas songs whilst feeling like I'm Mrs Clause herself, making sure everyones presents are looking as magical as can be. This involves all the glitter, all the ribbon and all the bows I can get my hands on! I feel like most of the fun in giving a present, is trying to make it look as magical and festive as can be. 3. There's something about Harry Potter that just gives me all the cosy Christmas feels. The one thing I love about Christmas, is for me it's time to relax and do some of my most loved things. I love to find the time to cosy up and get stuck in to reading Harry Potter. There's nothing better than wearing your cosiest pj's with a snuggley blanket, a Christmas candle burning and the Christmas tree lights twinkling and getting lost in the world of Harry Potter. 4. Of course you can't go a December without at least one trip to LUSH to pick up the highly anticipated Christmas collection. December is the ultimate bath season. Now I'm a bath person and love a hot bath every night all through out the year, but there's just something about Christmas time that makes it sooo much more enjoyable. My favourite festive treats from LUSH are Golden Wonder and Shoot For The Stars. I love that they're so magical and sparkly but also still have a refreshing citrus scent. I can't get enough of the zesty bath treats and I love that I can still get my favourite scents, as well as that hint of shimmering Christmas magic in a bath bomb this time of year. 5. Of course to make the most of any cosy Christmas time, you need to perfect your Christmas hot chocolate. For me the perfect Christmas hot chocolate consists of Mint Options, a ton of mini marshmallows, topped with a mountain of squirty cream with a sprinkling of more mini marshmallows. Then if I'm feeling super duper christmassy, a candy cane (that usually melts and falls in the hot chocolate!). I really hope you're feeling all the Christmas magic beauties! I'd love to know your cosy Christmas Essentials? Gorgeous post girl!! I love HARRY POTTER this time of year. A good candle and cosy down is on the cards for me this weekend for sure!! Thanks beauty! Ahhhh I know, tell me about it!! I need to do some last minute xmas shopping and then I am for sure getting in my xmas PJ's and watching all the films!